There are an abundance of nut, soy and grain milk beverages on the market, but what about veggies? Though it isn’t what I would call a pure “vegetable milk”, Veggemo is a unique new non-dairy milk that is inspired by the produce aisle. 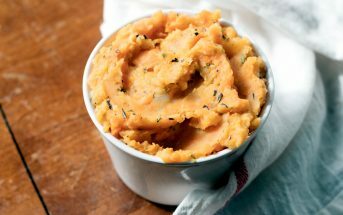 The base of Veggemo is blend of pea protein, tapioca starch, and potato starch. No, I’m sorry, but no one has found a way to make straight pureed vegetables into a marketable milk alternative. 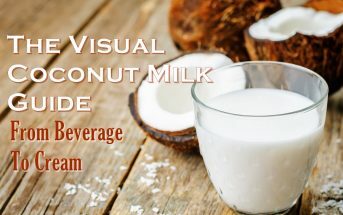 But Veggemo has created a blend that will likely appeal to those who want a better balance of nutrients in an allergy-friendly dairy-free milk beverage. 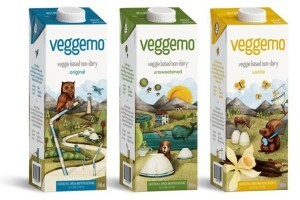 Veggemo has a stunning consistency with a creamy finish that likens 2% milk. However, the lighter nutrition facts read more like 1% milk with just 2.5 grams of fat. Of course, less sugars than milk as well. It does have less protein (3 grams per serving), but this is still more than many non-dairy milks on the shelves today. 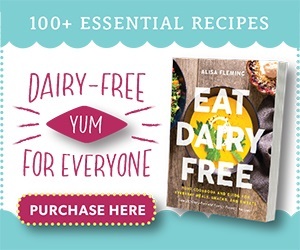 And of course, in keeping with demand, Veggemo is both carrageenan-free and fortified with a hefty dose of calcium (30%), Vitamin D (45%), and B Vitamins (including B12 – 50%). This variety had that dreamy fluidity, but alas it won’t be my go-to choice. The taste was plain and nondescript. Usually a good thing in my opinion, but the finish had a slight bitterness that I found less pleasant. I tested it in smoothies, but it overpowered, and in savory sauces, where it was a better match. The Original was enjoyed by all. It has a very light sweetness and very drinkable vibe. 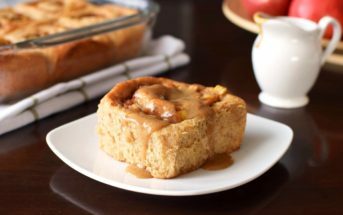 It worked well in smoothies, with cereals, and would probably be a good choice for baking. The Vanilla was sweeter, and had a more pronounced vanilla flavor. Overall though, it tasted a bit off to us. That bitterness seemed to reemerge, making it our least favorite for sipping and smoothies. Nonetheless, I’ve read a couple of reviews where people really enjoyed this one! Availability: Veggemo is made by a Canadian company, so distribution is happening in both the U.S. and Canada. Certifications: Veggemo Non-Dairy Milk Beverage is Certified Kosher Parve. 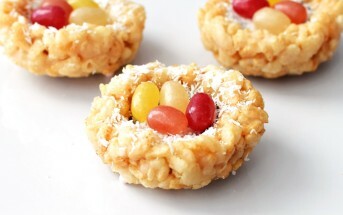 It is labeled as vegan, gluten-free, and non-GMO, but we did not note certifications for these. Dietary Notes: By ingredients, Veggemo Non-Dairy Milk Beverage is dairy-free / non-dairy, egg-free, gluten-free, grain-free, nut-free, peanut-free, soy-free, vegan / plant-based, and vegetarian. Nonetheless, always read the ingredient statement and check with the company on their manufacturing processes for all varieties if potential allergen cross-contamination is an issue for you. Processes and labeling are subject to change at any time for any company / product. For More Product Information: Visit the Veggemo website at veggemo.com. 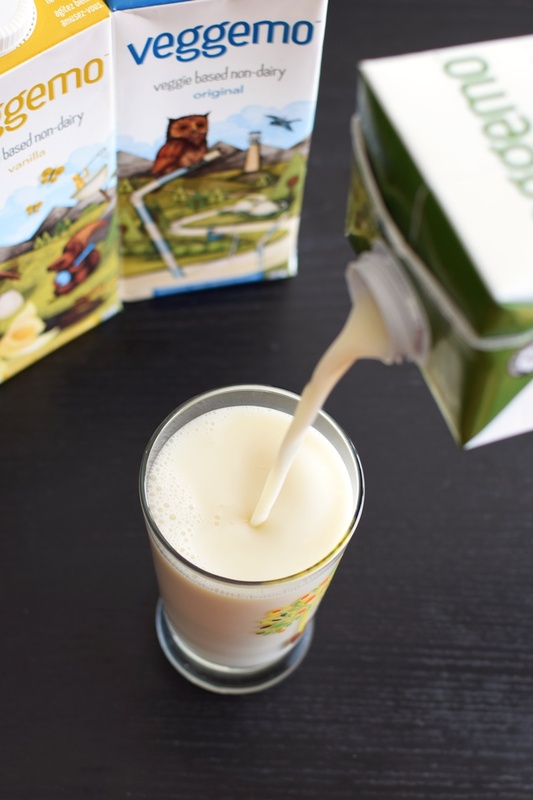 The perfect pour and creamy consistency make this non-dairy milk almost too good to be true. It also has a respectable nutrition profile, and we all agreed that the Original was pretty darn tasty. But alas, the go-to Unsweetened flavor and more indulgent Vanilla didn’t win our flavor votes. I love it. Consistency is great for tea and for cooking. Although, tapioca and potato starch are starchy I have heard that they’re high in the kind of starch that’s okay for me to have. I can’t have milk with either starch or fiber so Veggemo is the only one on the shelf that I can have that isn’t animal based. There is also horchata de chufa or Tigernut milk for those who want a dairy and nut (Tigernuts are tubers not nuts for those who are not in the know) free and non pea based drink. Unfortunately, Tigernuts have a lot of fiber just as all seed and grain milks do and soy has a lot of starch. So those are off limits to me, too. Rice milk always has brown rice which is not good for me to have, because of the bran. And, yes, coconut milk has fiber. It is also high in potassium, which I can’t have, either. Sorry about all the comments, I just remember certain things after I type my other comments. Hi Carla, it sounds like you have a lot of restrictions, but I’m glad to hear that at least one alternative works for you! Thanks! Me, too! I keep reading more and more about the ingredients and I just keep falling more and more in love with it! This sounds like an interesting dairy free product. I can’t always digest milk and I would prefer a nut free, soy free, dairy free alternative drink. Thanks for sharing your review, it’s so helpful. Glad I can be helpful Sharon! This sounds really interesting! It’s nice that there are more nut free milks available these days. This sounds like a promising new dairy free milk. Like many dairy free cheeses, it contains pea protein which isn’t safe for us. Maybe they’ll find a way to make a milk without it? Thanks for the review. Such a bummer how many are having cross-reaction with pea these days, too! Hopefully there will be more options for your family soon. I’ll be posting on the flax milk – haven’t checked the ingredients, but with luck, it’s a fit! I really like Good Karma’s flax milk: http://www.goodkarmafoods.com/ It is my preferred “milk” and I have tried it in both the fridge and shelf stable versions. No pea protein by ingredient list for the non-protein milks — the “+protein” varieties do use pea protein. 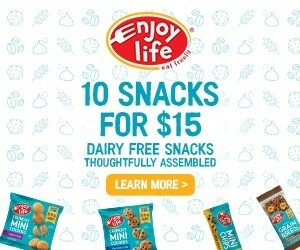 Their allergen statement is at http://www.goodkarmafoods.com/allergens/ and includes a phone # to call for additional information. Which allergens does “Major Allergen Free” include? Our Flaxmilks are free of dairy, eggs, fish, shellfish, tree nuts, peanuts, wheat, and soy. Are your Flaxmilks Gluten Free? Yes, all of our Flaxmilks are Gluten Free. Oh, I’m so keen to try this milk. Thanks for the post, Alisa… you always keep us in the know!